Thinking about all our queens’ collections inspired us to dive into what summer and fall trends have our queen’s names all over them! Each queen could dress up for so many different occasions and parties in the Fall: Apple picking, brunch with the girls or a pumpkin-carving party. Queen Mary and Elizabeth probably wouldn’t attend brunch together because they both have bold and courageous styles (and were arch nemeses! ), but what would they wear? Which Trend Would They Try? If Queen Mary were to head to brunch, she would probably model a wrap dress which is structured and playful so everyone knows you’re taking care of business. Elizabeth, on the other hand, would probably take an approach with more flair. Without a doubt, walking into the room in a maxi dress or linen jumpsuit would show anyone who is boss. The one-piece outfit is a sleek way to still feel comfortable in an assembled way. Queen Anne would attend an event in all her confident glory. As a trendsetter, she would need something a little more radiant. Prints on top of prints are a hot trend right now, and we can see this queen strutting in a printed shirt and striped, wide-legged pants. Queen Emma is more carefree and dares to be different. Therefore, we would choose an off-the-shoulder dress with accented sleeves from Zara. Emma, being somewhat a rebel, would probably rock a colorful pair of strappy sandals to go along with her colorful Wrap Rings. Catherine has a more refined taste which is no wonder why we chose the circle as her ring’s symbol. A circle is one of the most traditional shapes that has been adapted into jewelry, and we can picture this queen in something more sophisticated. Can’t you picture Queen Catherine sporting a tasteful polka dotted top and sleek pants or skirt? Last, but not least, Queen Isabella would come prepared to party in a stylish frock dress. Alice and Olivia and Mara Hoffman have carefree styles that still show off her understated, elegant style, just like her ring’s symbol! Which Queen’s style would you want to wear? Queens could have whatever they wanted at their command, and we are sure they would want every color in their collections! Just because the queens competed, doesn’t mean you need to stray away from certain styles! 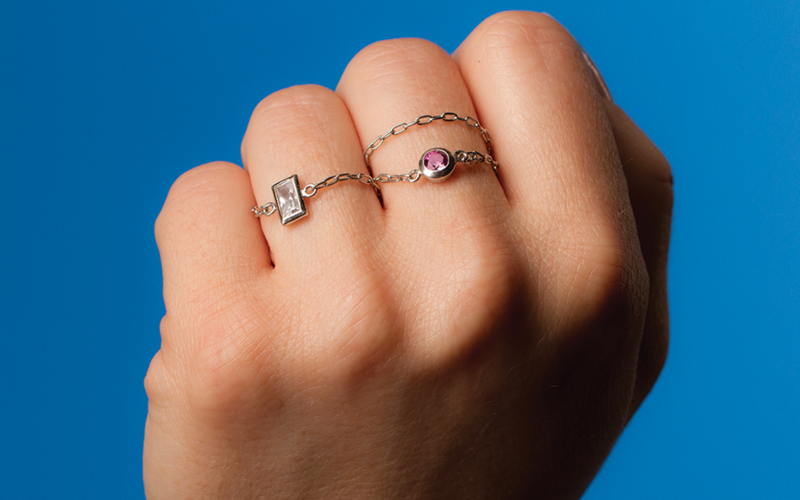 All our Wrap Rings give off different personalities, but they can also be paired together seamlessly. You can also check out the Gallery to see how other wrappers have been styling their Wrap Rings.